In my spare time, I'm preparing a compilation of essays on various estimates of our country's wrongful conviction rate. As I draft them, I'll publish them here. When I'm done with all of them, I'll compile them into a single document and make it available on Scribd for free, and on Amazon for a minimal cost. The chapters will be numbered according to the predicted wrongful conviction rate, in percent. So far I have posted Chapter 0.027 and Chapter 0.5. Keep in mind that we have a lot of people incarcerated, around 2.5 million. That means a wrongful conviction rate of only 1%, if applicable to all those incarcerated, means we have wrongfully imprisoned 25,000 people. A wrongful conviction rate of 10%, if applied to all those incarcerated, would mean we currently have a quarter million people incarcerated for crimes they did not commit. I didn't pull the 10% number out of thin air. We'll soon be talking about estimates that exceed 10%. For now, it's time to look at the Rosenbaum number. A district attorney in Worcestor County, Massachusetts, a few years ago is reported to have said: “Innocent men are never convicted. Don’t worry about it, it never happened in the world. It is a physical impossibility.” The present collection of sixty-five cases, which have been selected from a much larger number, is a refutation of this supposition. The stories Borchard tells, clearly shocking at the time, seem almost charming by today’s standards. I repeat one of his shorter stories below. On August 16, 1928, taxi driver E. A. Stocks reported to the Los Angeles police that two men, whom he had picked up as passengers, had stolen his cab and $7.00. On August 17, taxi man Newt Troelson made a similar report, with the loss of $12.00. On the eighteenth, E. M. Shaw, and on the twentieth, E. I. McDonald, had the same experience. On each occasion the taxi driver was requested to drive to some place which proved to be a lonely spot, where he was held up. Similar crimes were being committed in and around Los Angeles. The four victims attended the police-department “show-ups,” where arrested persons in groups of six were marched before victims of all sorts of crimes for identification. Early in September, each of the taxi drives identified one of the prisoners, Elmer P. Jacobs, as one of the taxi robbers. Jacobs had been arrested for “borrowing” a parked automobile for a joy ride on August 28, 1928. He pleaded guilty to grand larceny on this charge and was sentenced to Folsom as a second offender, having had a criminal record. In the meantime, however, he had, as related, been identified as the taxi thief. He was indicted for each of the four taxi robberies just described. He was tried on October 30 and 31, 1928 … Each victim appeared as a witness and described the holdup, stating that Jacobs was one of the robbers. Jacobs was a man with wavy hair, a crooked nose, tight, thin lips (as viewed from the side), and almond-shaped-eyes -- a person readily recognizable. Jacobs endeavored to establish alibis that he was elsewhere at the time of each occurrence. The alibi witness evidence was rather indefinite, and a verdict of guilty was returned by the jury on each count to serve “for the time prescribed by law,” which was from fifteen years to life. During the first week in November, [four men] were arrested by the police on various charges. [Two of them] confessed to robbing Newt Troelson and taking his taxicab. The confessions were corroborated by fingerprints. Confessions followed connecting these two with the Stocks and Shaw robberies, and implicating [the other two men] in the McDonald affair. None of the gang knew Jacobs. Detective Captain McCaleb then had these four men placed in the “show-up” and called in again the victims of the robberies. This time the confessed robbers were all positively identified by the victims. It was clear to everyone that their earlier identifications of Jacobs had been erroneous. They court, the prosecutor, and the Deputy Public Defender all cooperated to unravel the legal situation. On November 16, 1928, the court granted Jacobs a sixty-day stay of sentence so that the cases against the real culprits could be disposed of. They were all convicted and sentenced to the penitentiary for various terms. On December 26, 1928, following a hearing, in which the police officers testified they were satisfied of Jacobs’ innocence, the court vacated the judgment and sentence, set aside the verdicts, and dismissed the robbery charges against Jacobs “in the interest of justice,” and for lack of evidence that would justify a conviction. Several observations are in order. First, the timing is amazing. The taxi cab crime wave started on August 16. Elmer was arrested for “borrowing” a car on August 28. He was picked out of a show-up by each of the four victimized taxi drivers shortly thereafter. He was convicted on October 31 on four counts, each count having a possible sentence of fifteen years to life. He was released on November 16 and formally exonerated on December 26. That’s 133 days from crime to formal exoneration, just 17 days from sentencing to release, including Thanksgiving and Christmas breaks. Next, it’s pretty unlikely that two, much less four, taxi drivers independently picked the same wrong man out of a show-up. In other words, the police knowingly or unwittingly encouraged at least three of them to pick Elmer. It’s a comfort to know we no longer help victims and witnesses select people from lineups and photo arrays. It’s also a little unsettling how easily the police seemed to obtain confessions for crimes which carried a potential life sentence. It's unlikely the confessions were made in the spirit of community service. It’s more likely the new real thieves were aggressively persuaded by their captors to confess. It’s good that we are now beyond such aggressive persuasion. And it’s interesting that the police were willing to use fingerprints to inculpate the new real thieves but were unwilling to use the lack of Elmer’s fingerprints to exculpate him. In other words, the State used forensics to reinforce their pre-conceived notions. I’m pleased that today we would never do such a thing. Finally, it’s disturbing that some people were actually named Elmer way back when. I comforted that today we would never do such a thing. sometime between 1965 and 1988. J.L. Ivey, Jr. was convicted of three counts of murder in Erie County on October 27, 1976, and was sentenced to twenty-five years to life in prison. The Appellate Division unanimously reversed the conviction, citing "numerous and repeated acts of improper and prejudicial conduct by the prosecution" including: (a) commenting to the jury about the "unfairness" of a court ruling excluding certain evidence; (b) inappropriately attempting to inject sympathy for the victim into the deliberations on guilt or innocence; (c) referring to defense witnesses' testimony as "lies" and "garbage"; (d) stating that the witness chair should be "washed" after a certain defense witness leaves; and (e) admonishing the jury to be careful lest a "murderer go free." Ivey was retried and, as in the first trial, presented a strong alibi defense. Additionally, Ivey was able to call a new witness who provided convincing testimony implicating her former boyfriend for the murder. Ivey was acquitted of all charges on May 20, 1982 and released after five and one-half years of wrongful imprisonment. He was later granted summary judgment on his suit for unjust conviction and imprisonment in the Court of Claims. 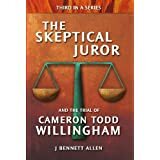 In 20th century New York, telling a jury that the witness chair should be “washed” after a certain defense witness leaves was apparently grounds for a new trial. In 21st century California, comparing the defendant to a Nazi and a germ doesn’t raise a judicial eyebrow. I quote below from the 2002 California Supreme Court ruling in the case of People v. Maureen McDermott. Defendant also cites as improper the prosecutor's comments in closing argument describing defendant as "a mutation of a human being," a "wolf in sheep's clothing," a "traitor," a person who "stalked people like animals," and someone who had "resigned from the human race." 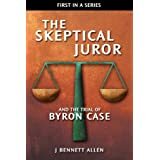 … [W]hen considered in the context of the planning and execution of Eldridge's murder, these references are within the permissible bounds of argument, and in any event would not have had such an impact "as to make it likely the jury's decision was rooted in passion rather than evidence." Defendant asserts that the prosecutor committed misconduct by comparing her to a Nazi working in the crematorium by day and listening to Mozart by night. We find no misconduct in these remarks. The prosecutor was not comparing defendant's conduct in arranging Eldridge's murder with the genocidal actions of the Nazi regime. Rather, the prosecutor was arguing that human beings sometimes lead double lives, showing a refined sensitivity in some activities while demonstrating barbaric cruelty in others. In the context of this case, where the evidence showed defendant to be both a caring and competent nurse and a person capable of plotting a brutal murder, the argument was appropriate. Finally, defendant claims the prosecutor committed misconduct by comparing defendant to a germ, a mad dog, and a snake. These remarks were a permissible form of argument designed to show the circumstances in which society may be justified in taking one life to protect the lives of others. Maureen McDermott, by the way, has been on death row since 1990. Based on what I know of that case, I believe McDermott may be among the wrongfully convicted. Marty Rosenbaum apparently didn’t realize or didn’t care that he had the opportunity to calculate the first empirically-based wrongful conviction rate. He simply needed to divide the number of exonerations in his collection (59) by the total number of convictions that led to those exonerations. He had at his fingertips the appropriate number of total convictions, or a good approximation thereof. They were in the same dataset in which he found his wrongful convictions. This Article reports the preliminary results of a continuing study by the New York State Defenders Association's Wrongful Conviction Study Project. The purpose of the study is to catalogue wrongful homicide convictions in New York State during the period from 1965 to 1988. The Project has found a significant number of wrongful convictions, as defined and reported below. The data presented in this Article support the position that the State of New York should not reenact the death penalty. If New York does so, the Association's study suggests, there will almost certainly be a significant number of persons wrongfully convicted of capital murder in New York, and many of these persons will very possibly be executed before the errors are discovered, if they are discovered at all. Stated simply, the study indicates the fallibility of the New York criminal justice system, which militates against the use of capital punishment. Rosenbaum’s goal was achieved in essence, if not in detail. Governor George Pataki signed a death penalty bill into law in 1995. No one was executed, however, before the law was declared unconstitutional by the New York State Supreme Court in 2004. No one has in fact been executed in New York since Eddie Mays was deep-fried by an electric chair in 1963. Sometime before 2001, Tony Poveda realized he could use Marty Rosenbaum’s nicely delineated set of exonerations to calculate the first empirically-based wrongful conviction rate. Poveda first defined the proper set of total convictions to be all murder convictions within New York during an eight year window offset three years from Rosenbaum’s eight year window. [T]he relevant population base for calculating prevalence of wrongful convictions is the number of murder commitments to the Department of Correctional Services. A study conducted by the New York State Defenders Association … found that the median time from conviction to reversal (acquittal / dismissal) in wrongful homicide convictions in New York is approximately three years. He then corrected Rosenbaum’s count of the wrongfully convicted by excluding those people who had been found guilty of manslaughter rather than murder. He also excluded those people who were only partially exonerated, who had been found guilty of a lesser crime on retrial. [Rosenbaum’s] study identified 59 wrongful homicide convictions during this period, 45 of which involved murder convictions. … [Rosenbaum’s] definition of wrongful homicide conviction, however, was broader than that employed in the present study. It included not only cases in which the defendant, whose conviction had been overturned, was acquitted on retrial or the charges were dismissed, but also cases in which the defendant was reconvicted of a nonhomicide crime. If the … study cases are limited to murder sentences reversed between 1980 and 1987 and to cases in which the defendant was subsequently acquitted on retrial or the indictment was dismissed (and omits cases in which the defendant was reconvicted of a lesser offense), we were left with 23 wrongful murder convictions in New York State between 1980 and 1987. During the period 1977 to 1984, 2,276 murder commitments were made to the Department of Correctional Services; this translates to a 1.0 percent error rate in murder convictions/commitments. Finally we have a number based on something other than a guess. It’s probably not an accurate number, but it’s a number based on something other than a guess. It’s an empirically-based wrongful conviction rate, and it’s one of the first. The one percent rate is probably conservative for at least two reasons I’ll mention here. First, the cases were all pre-DNA. It’s not that people didn’t have DNA back then, it’s just that we didn’t know how to use DNA to determine guilt or innocence. Even though culprit DNA is available for testing in only a small number of murders, DNA is currently one of the primary basis for murder exonerations. The implication of that last sentence is that most wrongful convictions will not be identified, not even by DNA. Any calculation that assumes wrongful convictions and exonerations are equal in number is likely to seriously understate the wrongful conviction rate. My second reason for suspecting the Rosenbaum number is low is that society was even less willing to accept back then that people would confess to crimes they did not commit. Anyone who confessed to a crime back then was even less likely to be set free than they are today. Since somewhere between 90 and 95% of convictions are based on plea bargains, i.e. confessions, this is a major issue. I will address it in more detail later in this monograph. 1. At one point, Edwin M. Borchard was a librarian for the Law Library of Congress. At the time his book was published he was a Professor of Law at Yale University. Borchard unsuccessfully represented the ACLU in the case of Korematsu v. United States. In the majority opinion, Hugo Black ruled that the U.S. government could intern Fred Korematsu, and all other Americans of Japanese descent, during World War II to protect itself against espionage. Under generally accepted rules for counting wrongful convictions, none of those people interned would count. 2. At the time he published “Inevitable Errors,” Marty Rosenbaum was Director of Judicial and Legislative Services, New York State Defenders Association, Inc., Public Defense Backup Center. 3. Tony Poveda is a professor at State University of New York Plattsburgh. He is the author of “Estimating Wrongful Convictions,” published in the September 2001 issue of Justice Quarterly. Not only did he convert Rosenbaum’s compilation of New York homicide exonerations into a wrongful conviction rate, he calculated his own (higher) rate in similar fashion. That work is addressed in the upcoming Chapter 1.4, The Poveda Number. 4. In the case of Maureen McDermott, the jury could have, but apparently did not, invoke the corollary to Godwin’s law. Godwin’s law observes that as discussion grows longer, the probability of a comparison involving Nazis or Hitler approaches 1. The corollary to the law is that once such a comparison is made, the discussion is over and whoever mentioned the Nazis first automatically loses the argument. As a juror, I would be unimpressed by a prosecutor who relied on inflammatory language rather than evidence. I would be less inclined to deliver the guilty vote the State was seeking. how do you collect info on your cases? Are you looking for good leads to wrongful convictions? 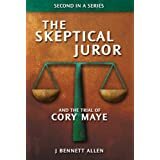 I have a case that involves prosecutor misconduct, false testinmony, bad rulings, etc, along with absolutely no evidence: no body, no weapon, no blood.The defendant was convicted of a capital crime even so - the jury was frightened into an emotional verdict which the judge not only allowed - but paved the way for. I have the trial transcripts,and have studied them along with further research into the case.